My response to that was – “this is happening now?” and “why didn’t I know about this?” Many students I have since spoke to were also unaware of this coming to fruition. 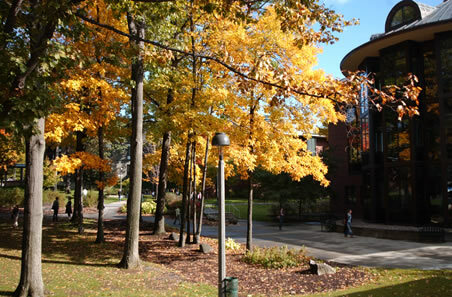 Most of these ideas are great, with more seats, computers, and a study room reservation system standing out among them. Regardless, the fact remains that construction has already begun and we’re only hearing about it now. Also, it would be nice to know how much this is all going to cost, and what the noise and dust will be like in the coming months. To be honest, the way the Administration’s gone about this seems a little heavy-handed, but I’m willing to give them the benefit of the doubt if they actually follow through on their promise of “lots and lots of technology.” Not really sure what to make of that, but everybody loves technology, right? Maybe they’re getting one of those amazing touchscreens from Minority Report! Perhaps an underground particle accelerator lies in our library’s bright future! Your guess is as good as mine, but the possibilities are endless. Are you also totally shitting your bed researching for your thesis/capstone/research paper et. al.? Well guess what? 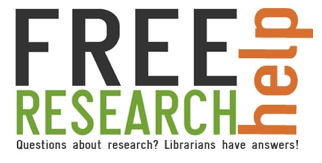 Scribner Librarians are available for free research help Monday – Thursday, from 10:45 – 11:45am and 3:15 – 4:15 pm in Case Center, in addition to regular hours at the Library reference desk! These people went to school to learn how to research and are probably a lot better at it than you and me so we should just swallow our pride and ask them where to find (and how to read) tax code information for the New York City area or whatever. ya heard?